At the beginning of May, a friend asked me if I wanted to see a live show with Ruby Wax at the Bishopsgate Institute. I’ve never been the biggest fan of Ruby Wax – I am quite picky with comedians and I’ve never found her really funny – so I wasn’t sure, but when I found out that the topic of the show was ways in which we let our brain sabotage our sanity in he 21st sanity, my interest was piqued. Firstly, this was not meant to be a comedy show per se. 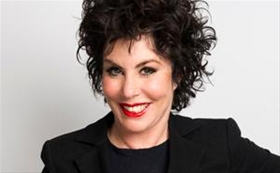 Ruby Wax has just finished a Masters at Oxford in mindfulness-cognitive based therapy so I was interested to see if I could glean some insights from her studies. I was pleasantly surprised by the first half. While some of the content I felt was too simplified, I guess it must be difficult tailoring information to a mixed audience and keeping everyone entertained at the same time. She talked about how we associate ‘busyness’ with ‘happiness’ and this is slowly killing us. This made me reflect on the truth of this for me – whenever someone asks me how I am, I feel an irrational desire to give them something concrete, something more than ‘I’m fine actually’ or ‘Things aren’t going so well at the moment.” I will usually go off on a tangent and mention things like ‘Oh I had a good weekend, yep, got lots of work done so am on schedule.. and I went to that play the other day, have you heard of it?…’ and often they just stare at me blankly – quite rightly too – because that wasn’t what they asked in the first place. I just feel that if I answered the question they asked, it would be inadequate, underwhelming and well.. boring. And that’s something Ruby Wax’s show made me mull over. She also talked about the chemicals that are produced when we have certain thoughts and how some of these chemicals aren’t meant to remain in us for extended periods of time. Take the fight-or-flight response. Our ancestors would have that response as a means of survival, if they were hunting for food. However, now we don’t need that, our fight-or-flight response is triggered by the barrage of depressing news we see on the TV and read in the papers. Ruby emphasised that it didn’t matter where logistically the threat was; our mind deals with it as though it is directly facing us and therefore we live our lives feeling threatened, and fearful. This, quite logically, wreaks havoc with our bodies and can help contribute to various illnesses and diseases in later life. So, I enjoyed the first half – it was informative and Ruby was likeable, although I had to force myself to laugh at some of her jokes, given that I was sitting in the third row and I didn’t want to look rude. (And faking laughter is a surprisingly tiring thing to do…) Her talking about mindfulness as a way to combat depressive thoughts was nothing new, but nevertheless it was good to hear and be reminded of the principles, within her personal context. I get that people should be able to express their thoughts and relay their experiences about mental health but after the tenth person putting their hand up and saying ‘I just want to say, I work in mental health’ and expecting a round of applause and nods of admiration, and then making a point about young people with mental health problems, and don’t you think mindfulness should be taught in schools? and then Ruby murmuring in agreement, I just kind of wanted to get up and shout, ‘what about OLDER people with mental health problems? do they not matter? !’ but I refrained and sat, and smiled and practised some of the mindfulness the show was really about in the first place.